Steven (Chicagoland, United States) on 8 December 2016 in Landscape & Rural and Portfolio. 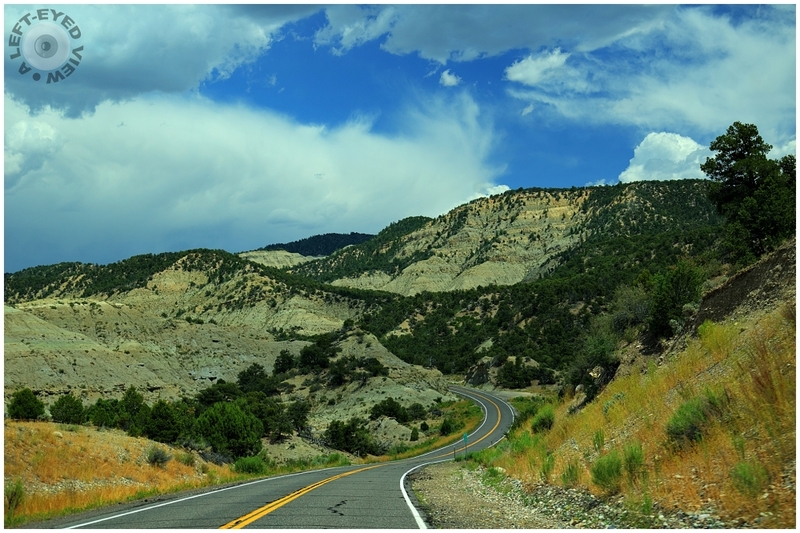 Highway 12 is one of the most scenic highways in America, receiving the designation of 'All American Road' in 2002. Indeed . . and the road looks so integrated . . I would like to drive there ! Love the pov...that road looks special beckoning one to travel on it ! I like to drive. I like driving on American roads. Une route panoramique de l'Utah, je l'ai empruntée lors des vacances en 2014. Un réel plaisir ! Stunning landscape! Lovely view and the sky is wonderful. Oh yes, that winding road beckons us into the depths of your beautiful image. Bravo! I like the curving road that becons for us to come. A fine scenic image. Like Don says, like the curving road here! Have a nice day, Steven! My eye is drawn throughout this gorgeous landscape. Excellent sense of depth in this image. The road lead the eye into the mountains. And the road winds in a beautiful scenery! Yes, it is. I enjoyed driving that highway. Excellent leading line of the road into the interesting hills. Sweet shot of that gently curving road that blends into the landscape. Yeah, scenic indeed ! Wonderful drive ! Really... is a very scenic highway.